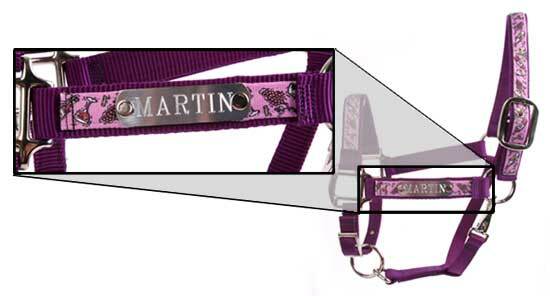 Design and function best describe our Equine Elite line of halters! Made with a highly durable, vibrantly colorful printed design on a polyester braid, then sewn onto 2 and 3 layers of accenting nylon. Available with an optional leather breakaway strap. Our Red Haute Horse Equine Elite product line is made in the U.S.A.
Click the button below to add the Personalized Name Plate Shamrocks Equine Elite Halter to your wish list.